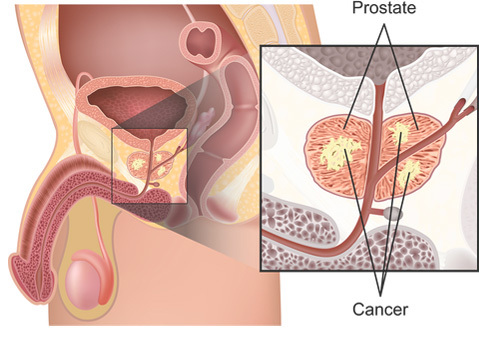 ​It is estimated that 240,890 men will be diagnosed with and 33,720 men will die of cancer of the prostate in 2011. Based on rates from 2006-2008, 16.48% of men born today will be diagnosed with cancer of the prostate at some time during their lifetime. This number can also be expressed, as 1 in 6 men will be diagnosed with cancer of the prostate during their lifetime. In addition, on January 1, 2008, in the United States there were approximately 2,355,464 men alive who had a history of cancer of the prostate. The incidence and mortality rates for Prostate Cancer in Europe are comparable to the numbers in the US. To put these numbers in perspective – compared to Breast Cancer the incidence is typically higher with a slightly lower mortality. To successfully treat Prostate Cancer, it is essential to diagnose the disease early and stage it extent as accurate as possible. Currently, the main diagnostic tools are the PSA blood test and a Digital Rectal Exam – followed by a Trans rectal Ultrasound (TRUS) guided biopsy. A tissue sample gained from this biopsy is the only way to accurately diagnose the disease. The problem of TRUS guided biopsy is that most Prostate Cancers are not detectable with Ultrasound; therefore the biopsies are performed randomly and blind (in respect to the lesion). Because of the ‘blind’ nature of TRUS biopsies a significant number of cancers are missed or not accurately staged. 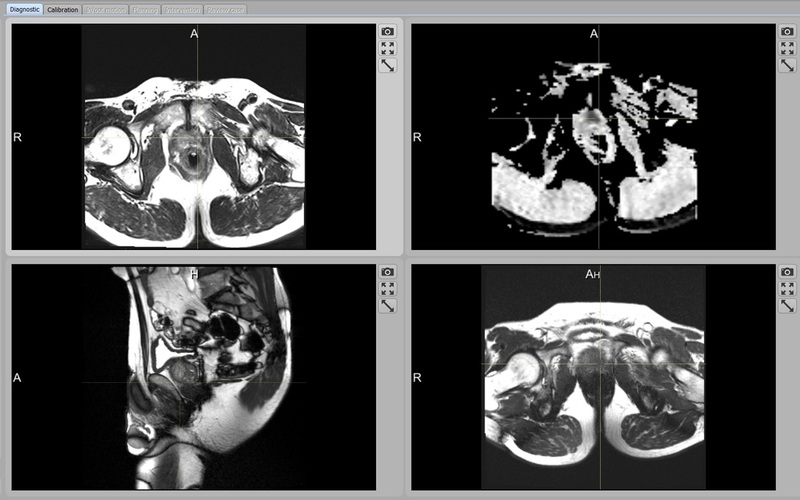 Magnetic resonance imaging (MRI) of the prostate has been established as a useful modality to accurately detect and localize benign or malignant changes within the prostate gland. The high sensitivity of functional multiparametric prostate MRI has led to high tumor localization ability. However the lack of specificity in prostate MRI means that tissue samples are required to establish a correct diagnosis. The combination of MR imaging (high sensitivity) with biopsies (high specificity) seems to be the best approach to accurately detect and diagnose Prostate Cancer. This creates a need for MR-guided prostate biopsies – with all the challenges any intervention in the MR scanner presents.